Today Nintendo finally released some information about the upcoming Pokémon games for Switch. They’re called Pokémon Sword and Shield, and the starters are absolutely adorable. The region where this game will take place is called Galar, and is based on the United Kingdom. 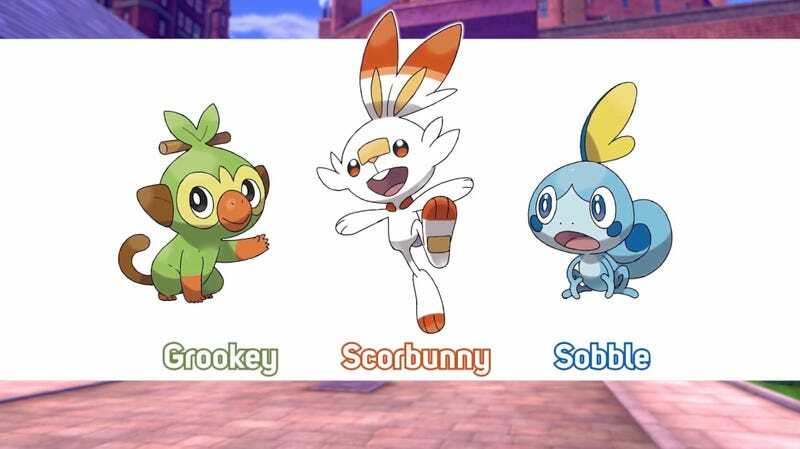 The three starters, Scorbunny, Sobble and Grookey, are the Pokémon that will accompany you on the start of your journey to become Pokémon Champion. People are already picking favorites. I love Scorbunny, though I also have a soft spot for Sobble. Grookey is also present. Pokémon fans are also making some fun observations, and as to be expected, incredible jokes. As far as how these Pokémon will play, we’ll only figure that out when we get the game in late 2019. For now, please send me all your fanart of Scorbunny, thank you.